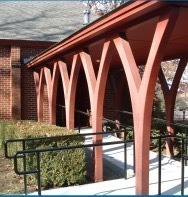 St. Bartholomew’s Church has full facility handicapped access. 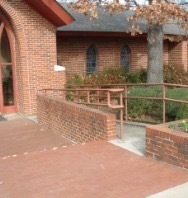 The main church is accessible from the outside by a ramp on the east side of the building. There is also a ramp at the main doors by the offices on the south side of the building. Once inside, the entire facility is easily maneuvered and equipped with ADA accessible bathrooms. We think you’ll find St. Bart’s provides for most special needs and urge you to join us.